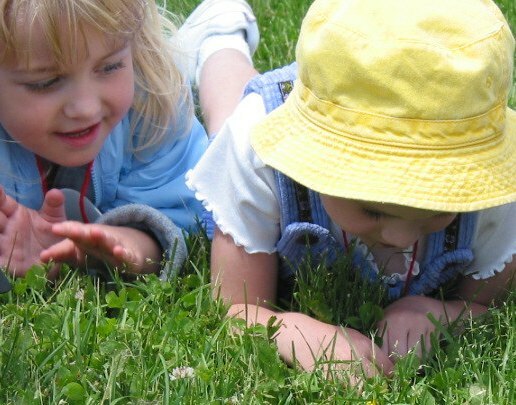 Our preschool program is designed to spark curiosity and appreciation for the natural world in children ages 4 or 5 with their favorite grown-up. Each class includes art, independent playtime, group activities, story time, and live plant or animal encounters. Cost: $15/child. For each child registered, one adult gets in free. $15/adult above that. Click on the “Current Programs” tab for program listings and registration links. Why are flamingos pink? Why do some flowers stink? Come explore the world of pink in the gardens and grounds of the Como Park Zoo and Conservatory. Play a pink game, read a story, and plant a pink flower to take home in this colorful class..
What is orange, hairy, and smart as a whip? Orangutans, of course! Join us as we visit some of Como Zoo’s most popular residents. Meet a primate zookeeper, then discover what orangutans eat, learn where they live, and watch what they can do with their long arms. Join us as we meet some “creepy” creatures! We’ll make some slime, create a snake and play in the dirt with worms. You might decide that these creepy creatures are not so creepy after all! For added fun, come dressed up as your favorite creature! Dive in to the wonderful world of sea lions and tour Como’s newest exhibit, Como Harbor! Learn what Sparky’s life is all about at the Zoo by smelling Sparky’s food (optional! ), meeting a zookeeper and watching a sea lion training session! What’s that I hear up on the rooftop? Just in time for the holidays, discover the magic of reindeer while meeting Como Zoo’s reindeer and their zookeeper. Play some reindeer games, sing a reindeer song and have other frosty fun! To register call 651-487-8272, email us at ComoEducation@ci.stpaul.mn.us. Or, click on the “Current Programs” tab and then click “register” under the class title. Discounted rates are available for members of Como Friends.